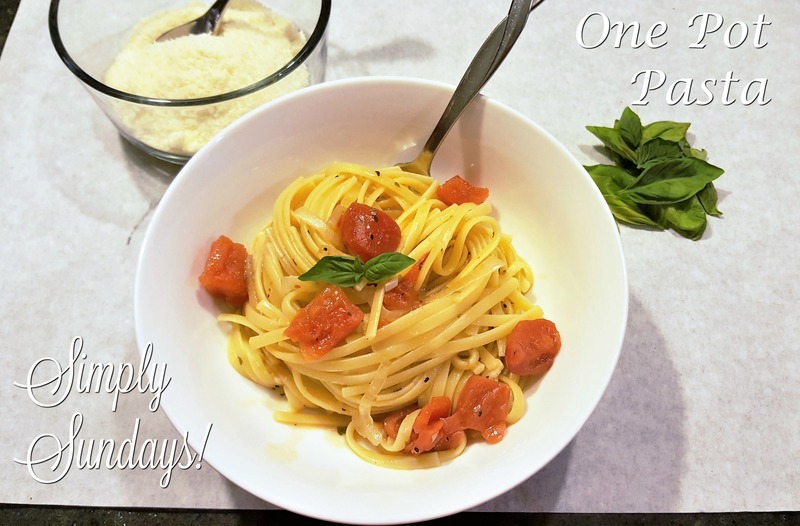 One Pot Pasta – Simply Sundays! Such a perfect weeknight meal… I love a dinner I can get on the table in under 30 minutes AND that tastes delicious! Best part is that you already have the ingredients in your pantry! A delicious dinner your family will love and it’s on the table in under 30 minutes! Susan gave me this recipe after I said I can not cook. It is easier than easy to do and comes out great! If I can do it anyone can! Just shows even I can cook a delicious healthy meal with a little help from Simply Sundays! Looks simply delicious! I love pasta & I love anything that can be cooked in one pot! Bravo! Me too! Easy to cook and easy to clean up!